Los Angeles Archery | Archery and related feathery things. Archery and related feathery things. Welcome to Los Angeles Archery! Hi, I am Alejandro Barahona, Level 3 Instructor at Rancho Park Archery Range in LA. — the best place to practice Archery in LA. We are located at Cheviot Hills Recreation Center, 2459 Motor Ave., Los Angeles, CA 90064. Rancho Park Archery Range in Cheviot Hills is at W. Pico and Motor, just south of Century City and the Fox Studios. 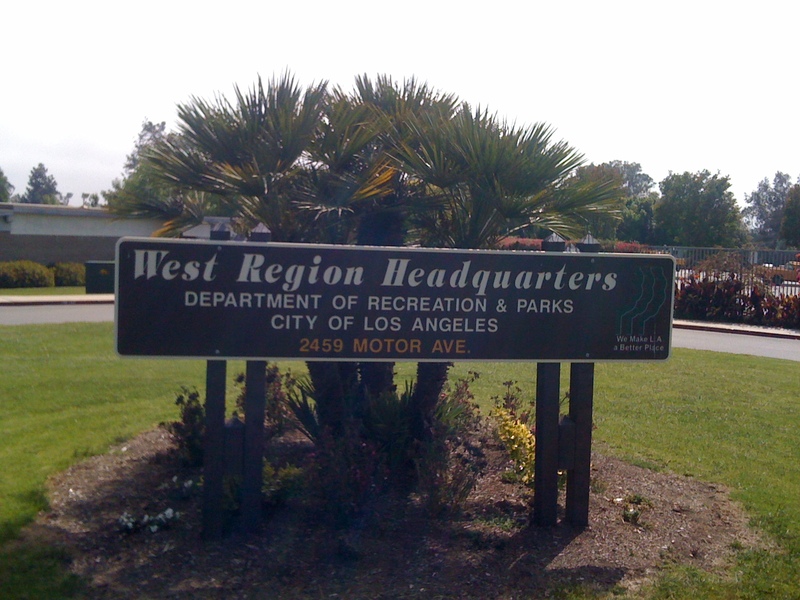 Enter the park at Motor, through the entrance closest to Pico, and drive to the back of the park until you reach the rotunda with the sign for the West Region Headquarters of the Department of Recreation & Parks. You will find parking space there; the archery range is right behind the Petanque (Bocce) fields. There are free archery classes every Saturday at 11AM and the second Sunday of every month at 1:30PM. After you take that class, you can retun and practice with our equipment. We can take only 24 students and we run the class on a first come-first served basis, so try to be there early as you can. Bring sunscreen, comfy shoes, water, and a willingness to learn something and have fun. Once you take the class, you can come back to the range and shoot during our Open Shooting Times Saturdays from 9:30AM to 12PM, Sundays from 12PM to 3:30PM. And once you have more experience, Wednesdays from 6:30PM to 8PM, . If you want private lessons, I can organize classes for groups or individuals. You can reach me at losangelesarchery@gmail.com. Now that Rancho Park Archers is open, we are starting anew the JOAD and Adult Archery program anew. Junior Olympic Archery Development (JOAD) is a program of USA Archery that teaches archery to young people, provides great opportunities for awarding achievement, and helps archers to enjoy the sport recreationally or progress to the excitement of competition. The Adult Archery Program is a program of USA Archery that allows adults to learn proper shooting technique, achieve awards based on score, and pursue competition. The objective of both programs is to teach the archers proper shooting technique and discipline and to prepare them to go to competition. The classes will cover Barebow (Longbows, American flatbows and recurved bows , all without sights) , Olympic style archery (Recurve bows with sights), Compound bows with sights and Compound bows without sights. The Basic classes take place every Saturday at 10AM. In order to join this classes, the archer must have taken one of our free archery classes or a private class with one of our certified instructors. Every month we will have a Point Shoot where the archers will be able to put together all that they have learned during the classes. The archers will earn pins depending on their score. Once the archers earns enough pins they can move to the next intermediate or advanced classes. We will also organize an archery competition and compete with other archery programs in the area. On account of Rancho Park being still closed, and the Southern California weather not been lately very conductive for outdoor activities, I got together with Coach Byron Burkhardt and Coach Roy Villasore, and we opened an indoor shooting range in Long Beach. We are currently open only Saturdays and Sundays in the afternoon. Shooting fee is $15 for two hours. We also offer private coaching. If you guys are interested contact me for times and location. Space is limited until we save money for more target mats. It has been a while, but the renovations at Rancho Park are now almost finalized. The last touches are right now being made to the installation…We might be able to open the range by this summer!!! A few months back, I was called by Rick Beal, head instructor at Nanka Kyudo Kay in Pasadena to teach Level 1 and Level 2 Archery Instructor classes to some of his students. At the end teaching of those classes, I had the privilege to receive one-on-one instruction from Rick himself. If you ever wanted to practice Kyudo or you want to know more, do not hesitate to contact Nanka Kyudo Kay in the link above. My approach to teach archery is very holistic (Yes, I live in Southern California, why do you ask? :D), and I tend to apply my experiences to my teachings. Through the years, I have realized that regardless of the sport activity we practice, the body reminds the same. Science and technology advanced in leaps and bounds. Studies have been made on body movement and body kinetics…and the results of their studies match the techniques and recommendations of many traditional arts. Times might have changed, but an elbow is an elbow, and it still moves the same way. Externally, Kyudo technique and Olimpic-style archery might look different, but the core of both techniques are the same…Yes, I got hooked! I wonder how much would one of those yumi would cost. Hi, I am Alejandro Barahona, Level 3 Instructor Instructor at Rancho Park Archery Range in LA. — the best place to practice Archery in LA… soonish. Many of you have had the surprise of going to the range and founding it closed. So, the range is no more. it has ceased to be. Bereft of life, it rests in peace. it’s kicked the bucket, hopped the twig, bit the dust, snuffed it, breathed its last, and gone to meet the great archer in the sky. 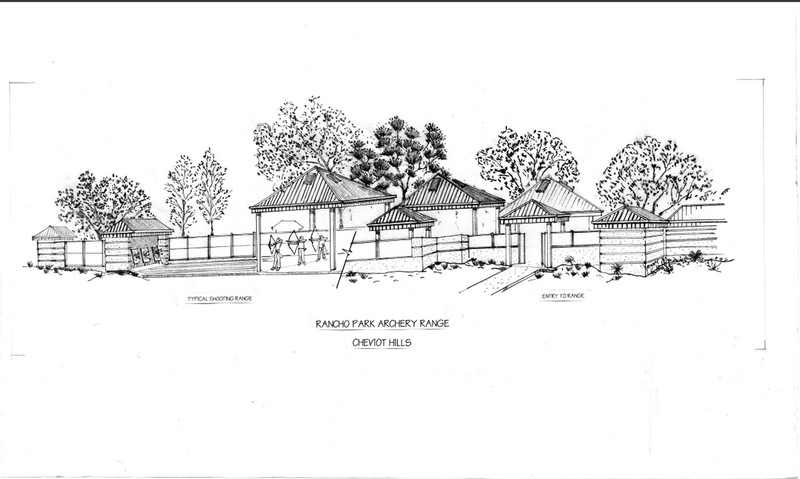 We received over $1.2 million from the Easton Foundation to expand and renovate the range. 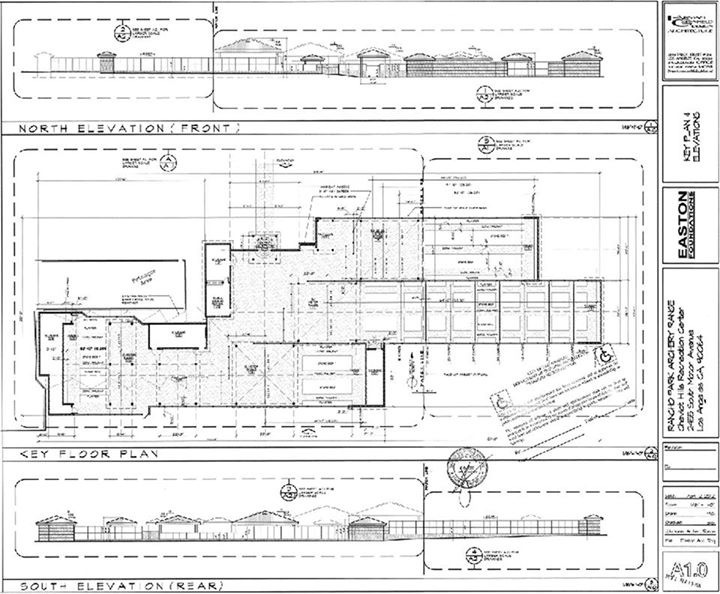 If everything goes as planned, the range will open around September 2015. In the meantime. I am teaching and coaching at South Bay Archery Club in Rancho Palos Verdes. If you are interested in classes for you or your kids, you can join the JOAD program at South Bay archery. You willl find information about the program here. I can also organize private classes for groups or individuals. You can reach me at losangelesarchery@gmail.com. Now, the bad news. It´s going to take up to a year to finish this fantastic new range. I will post here updates and pictures of the renovation of the range. The the JOAD classes, and the free classes every Saturday at 11AM and the second Sunday of the month at 1:30PM are canceled. I will keep you all posted. You can reach me at losangelesarchery@gmail.com. You might have taken one of the free archery classes at the range…or you might have not. You might not have even hold a bow in your hands before. All you know is that you want a bow. You want one, and you want it now. You always wanted it. You want to feel it in your hands, to touch it, to feel the coiled power inside it…to cares it, to own it. Maybe even to shoot it. Then you came to me. You reach me through this blog, or you email me, or you see me at the range and you ask me where can you buy one. Nobody ever likes the answer. All the instructors at the range will give the same answer: “Please don´t”. The combination of disappointment and surprise we see in your faces is painful to us. Let me explain our answer. Before you take an archery class, you don´t know which one is your dominant eye. You don´t know if you are going to hold your bow with your left or if you are going to hold your bow with your right. You don´t know yet which style would you would like the most. Maybe you would like to shoot traditional, without any sights. You might even want to go one step beyond and you might like to shoot a long bow, or even make your own bow. Maybe you would like to shoot Olympic style and practice to shoot up to a 100 yards. 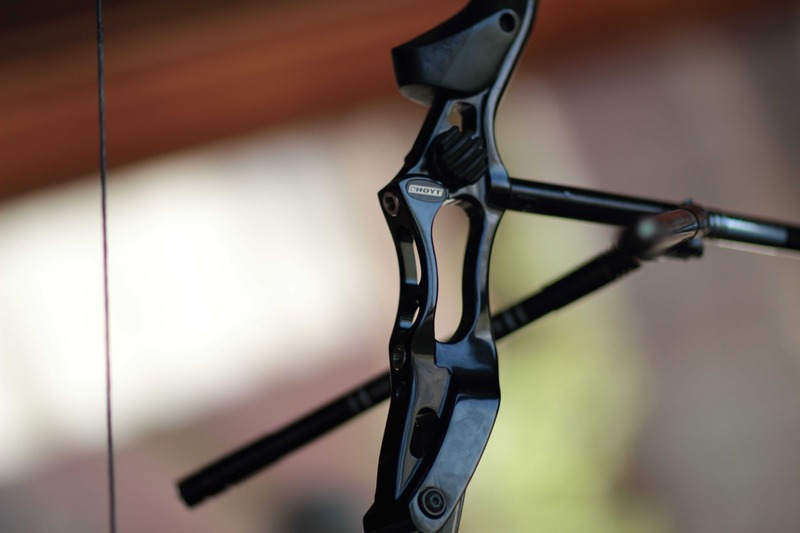 Maybe you would like to shoot a compound bow and even hunt with it. You might want to try Kyudo, or clout shooting, or Korean archery, or…you just don´t know… yet. Give it time. Come to one of our free safety classes, or book a private class. Then come back at least a couple of times a week to the range, and practice for free with our equipment, at least for three months…I would even say, at least for six. During that time you will see people shooting different types of bows, and in different styles. You will see what they do, and you will have the chance to talk with them. If you ask politely, they might even let you touch and hold the bows. Little by little, you will be discovering all the options you have. At that point you might decide which way you want to go. Then and only then, when you have made a decision, come to us, and we will guide you in your purchase. There are a lot of things that need to be considered when you buy a bow. Your height, your length of pull, your strength, your ability, and the amount of time you can dedicate to the art of archery. Once you know what you want, we can help you get what you need. Yes, you can go to Archers-r-us or any big-box sport store and they will get you measured and they will get you The-Best-Bow-Money-Can-Buy (c) from KillsaMuch brand. And without judging you. We don´t judge you. Believe me, we don´t. But we see the people that bought a bow that does not fit them or that it is waaaaaay to strong for them, or way too heavy trying to shoot it at the range. And we see them suffering…twice. Once because they spent the money, an twice because their archery dream got shattered. Please, if you only get one thing after this rant, it is this. We want you to join the spot. We want you to come back at the range, and we want you to have fun practicing. We prefer you gain some experience before you get your bow. And because we know that good equipment is expensive, we want you to expend money wisely. But if in spite of everything you just read, you still want to buy your bow. Please go ahead. When you come to the range with your new bow, we will help you set it up and we will even provide you with some pointers. And if you stop using it completely or if you discover that maybe that bow was not the best option for you, please sell it to us. We know people that might be able to use it. What does it has to do with archery?